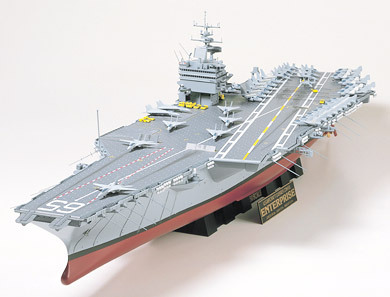 TAMIYA 78007 USS ENTERPRISE MODERN CARRIER (1/350)! Large deck includes landing signal lights, angled deck center line, landing area runway marking, and many more features. Side and ammunition elevators included. Nylon line included for elevator. Several different airplanes and jets included.